Last weekend the annual Shore Leave convention occurred in Maryland. 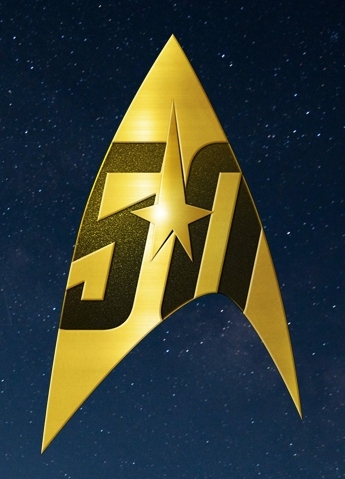 As has become the tradition, Star Trek book writers flocked there and revealed details of many forthcoming titles, including several new book announcements, and details of some of the ones we already knew about. In fact the entire 2016 novel schedule has now been filled out, plus a few titles known for 2017 already! From Christopher L. Bennett, as detailed on his blog, the TOS novel he has previously mentioned is now scheduled to be the January book in 2017, which means it should find it's way to the shops just in time for the end of the 50th anniversary year. This will be a five-year-mission story, and the title is The Face of the Unknown. That title had an air of familiarity about it to me, and a quick search reveals it is a line from The Corbomite Maneuver; I wonder if we'll be visiting the First Federation? Bennett has also announced he will be continuing his Department of Temporal Investigations series, with a second ebook novella, Time Lock. There is no scheduling information for this one yet. Legacies Book I: Captain to Captain, by Greg Cox. Legacies Book II: Best Defense, by David Mack. Legacies Book III: Purgatory's Key, by Dayton Ward and Kevin Dilmore. Ward also revealed the title for his next TNG novel will be Headlong Flight, which is due out in 2017. In doing so he also noted it will take place after both his recent novel Armageddon's Arrow, and the recently announced 2016 TNG trilogy Prey, by John Jackson Miller. It is the Miles/Nog story, though the tale took an interesting tangent into TNG territory, too, revealing the fate of a minor (but important) character. Yes, Force and Motion is post-The Fall. As to whether or not it's a DS9 story or not... hmmm. Difficult to say. It does NOT really move the whole DS9 tale forward in any overall sense. That's David's territory as far as I'm concerned. But does F and M introduce changes to the characters that can be integrated into future stories? I believe it does, especially for Nog. I also introduce a couple new characters who might be used in future tales should anyone care to try. January 2016 - DS9: Ascendance, by David R. George III. February 2016 - Voyager: A Pocket Full of Lies, by Kirsten Beyer. March 2016 - TOS: The Latter Fire, by James Swallow. April 2016 - Enterprise: Rise of the Federation - Live by the Code, by Christopher L. Bennett. May 2016 - TOS: Elusive Salvation, by Dayton Ward. June 2016 - DS9: Force and Motion, by Jeffrey Lang. July 2016 - TOS: Legacies, Book I: Captain to Captain, by Greg Cox. Augut 2016 - TOS: Legacies, Book II - Best Defense, by David Mack. September 2016 - TOS: Legacies, Book III: Purgatory's Key, by Dayton Ward and Kevin Dilmore. October 2016 - TNG: Prey, Book I, by John Jackson Miller. November 2016 - TNG: Prey, Book II, by John Jackson Miller. December 2016 - TNG: Prey, Book III, by John Jackson Miller. January 2017 - TOS: The Face of the Unknown, by Christopher L. Bennett. 2017 - TNG: Headlong Flight, by Dayton Ward. We also know there is at least one other novel on the way from David R. George III - Often authors are signed up for multi-book contracts lately, so I wouldn't be surprised if that was actually more than one. There is also the possibility of David Mack's Section 31 sequel, Control. The earliest we are likely to see that is 2017, and whether that happens will be dependant on how busy Mack ends up being following his original trilogy of World War II era fantasy novels. UPDATE: Ever-helpful friend of the site, Jens Deffner, pointed me to a TrekBBS post by Mack, where he notes Control probably wont exist until 2018! The only other novel I know about in the unconfirmed zone is that Jeffrey Lang has previously expressed a desire to do another Data novel, but last we heard he hadn't had any pitches picked up so far. DS9: The Rules of Accusation, by Paula M. Block and Terry J. Erdmann. TOS: Movie-era story, by Greg Cox. DTI: Time Lock, by Christopher L. Bennett. Finally there is also the expected return of the Strange New Worlds competition, which will presumably mean a new short story anthology next year too. To keep track of all the latest releases, hit the books or prose buttons on my schedule pages. You'll find full listings for this year, 2016, and newly set up, I'm already making note of 2017 releases. You can also find series reading lists and author bibliographies on my dedicated Star Trek lists site. Is there any news on the next (post-CE) Data novel yet? Anything on getting some of the ebook stuff into print like they used to? The last few 'Corps of Engineers' ebooks have have never been collected, seems a pity they stopped with what was probably just one volume worth of stories left, and there was a rumour the current 'New Frontier' ebooks will get a collected print edition. Fox: Last I saw just that Jeff Lang has been pitching for more Data stories, but not got anything through yet. Carl: I doubt it, but if any time, maybe next year to catch 50th anniversary hype. Back when COE first came out doing an ebook only series was trail-blazing, they probably needed the physical reprints to help keep it ticking over. Now, ebooks are normal, reprints are more of a luxury that the publisher doesn't Need to do. I think I might have speculated on the New Frontier trilogy getting a physical reprint; it would seem more probable than anything else because that would basically make a novel, rather than a random collection of novellas; a more compelling product in its own right maybe?